Fred Shannon was born on January 18, 1932, in Portland, Oregon. He enlisted in the U.S. Air Force on October 31, 1951, and after completing basic training he was trained as an Aircraft Electrical Systems Technician at Chanute AFB, Illinois. His first assignment was as an Aircraft Electrical Repairman at Fairchild AFB, Washington, from November 1952 to October 1956, and then at Westover AFB, Massachusetts, from October 1956 to September 1957. TSgt Shannon then attended Air Force Officer Candidate School at Lackland AFB, Texas, from September 1957 until he was commissioned a 2d Lt in the Air Force on March 21, 1958. After attending pilot training from April to July 1958, Lt Shannon attended Navigator Training and was awarded his Navigator Wings at James Connally AFB, Texas, in July 1959. He then completed Electronic Warfare Officer (EWO) training and Instructor training at Keesler AFB, Mississippi, before serving as an EWO instructor with the 3536th Navigator Training Squadron and the 3535th Navigator Training Group at Mather AFB, California, from February 1962 to April 1963. Capt Shannon next served as an instructor with the 3537th Electronic Warfare Training Squadron at Mather AFB from April to November 1963, and then completed B-52 Stratofortress Combat Crew Training from November 1963 to March 1964. His next assignment was as B-52 EWO with the 768th Bomb Squadron at Larson AFB, Washington, from March 1964 to March 1966, followed by service as a B-52 EWO with the 2nd Bomb Squadron at March AFB, California, from March 1966 to January 1967. Capt Shannon completed F-105 Thunderchief Combat Crew Training in March 1967, and then deployed to Southeast Asia where he served as an F-105 Wild Weasel EWO with the 13th Tactical Fighter Squadron at Korat Royal Thai AFB, Thailand, from March to September 1967. He then returned to the U.S. and was briefly hospitalized from September to December 1967. Maj Shannon completed F-111 Aardvark Combat Crew Training in March 1968, and then served as an instructor with the 3535th Navigator Training Wing at Cannon AFB, New Mexico, and Nellis AFB, Nevada, from March 1968 to January 1969. His next assignment was as an F-111 EWO with the 474th Tactical Fighter Wing at Nellis AFB, Nevada, from February 1969 to July 1970, and then with the 429th Tactical Fighter Squadron at Nellis from July 1970 to November 1971. His final assignment was as an F-111 EWO with the 442nd Tactical Fighter Squadron at Nellis AFB from November 1971 until his retirement from the Air Force on February 1, 1973. 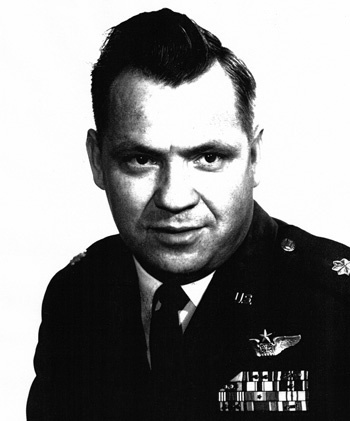 Captain Fred Shannon distinguished himself by extraordinary heroism in connection with military operations against an opposing armed force as an Electronic Warfare Officer in the lead aircraft of a flak suppression flight near Hanoi, North Vietnam, on 11 August 1967. On that date, Captain Shannon suppressed six active surface-to-air missile sites defending a strategic highway and railroad bridge. Despite concentrated barrages of antiaircraft fire and three missiles directed against his flight, Captain Shannon displayed the highest degree of courageous leadership in destroying two missile sites and in forcing the other four into sporadic operation. As a direct result of his actions, the strike force suffered no losses and imposed extensive damage on this vital target. Through his extraordinary heroism, superb airmanship, and aggressiveness in the face of hostile forces, Captain Shannon reflected the highest credit upon himself and the United States Air Force.